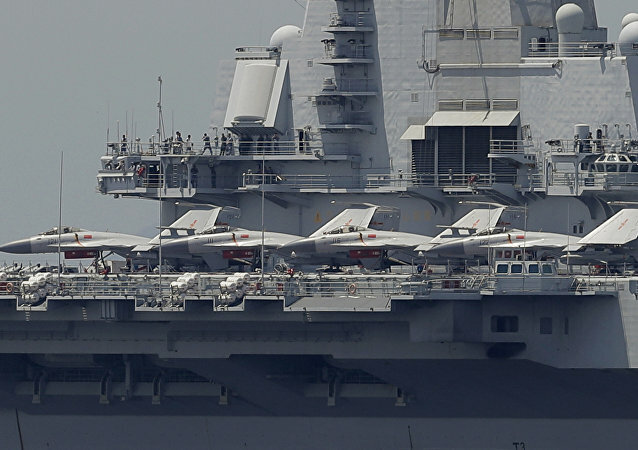 Chinese media has revealed that the new Chinese aircraft carrier will be able to dock 36 Jian-15 fighters [J-15]. It has been confirmed that China continues to develop its Catapult-Assisted Take-Off But Arrested Recovery (CATOBAR) program for aircraft carriers, after the identification of a Shenyang J-15 Flying Shark carrier-borne fighter with CATOBAR apparatus, the US Naval Institute reported Thursday. The Pentagon's unchallenged naval supremacy is in question: Russia and China are modernizing their fleets, which would bring the emerging powers up to par with the longstanding naval hegemon, F. William Engdahl notes.